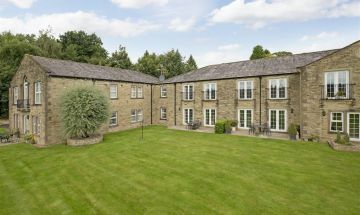 A BEAUTIFULLY EQUIPPED AND FULLY FURNISHED FIRST FLOOR APARTMENT - OFFERING ESPECIALLY LIGHT AND SPACIOUS ACCOMMODATION, FULLY CARPETED & CURTAINED, WITH TWO JULIET BALCONIES GIVING SUPERB VIEWS OVER OPEN FIELDS TO THE WEST. TWO DOUBLE BEDROOMS, TWO BATH/SHOWER ROOMS AND TWO PARKING SPACES. 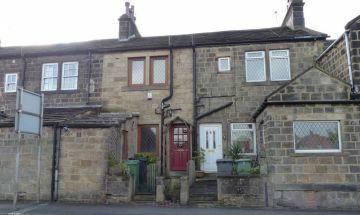 A STONE BUILT MID TERRACED HOUSE WITH TWO RECEPTION ROOMS AND SMALL GARDEN AREA TO THE REAR This two bedroomed property, with gas fired central heating and double glazing, offers accommodation briefly comprising to the ground floor, sitting room, dining room and galley kitchen. To the first floor there are two bedrooms and the bathroom. Outside there is a small enclosed paved garden area to the rear and a paved area to the front. Unfurnished.